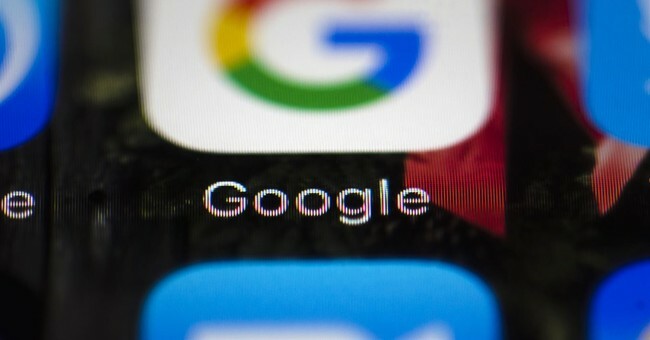 George Gilder's new book Life After Google points to the fundamental problem with tech companies built on the Google model: their economic assumptions are basically Marxist. Marx believed that capitalism had already done what good it could do for the world by erasing the feudal system and creating the industrial revolution. Capitalism had solved the supply of wealth question, leaving the distribution of wealth as the only remaining unsolved economic problem. What he and his generations of acolytes did not see was the emergence of the information revolution. Now that the information revolution has begun, Marxism 2.0 appears. Information technology is about to supplant human minds, we're told; so, therefore, humans have nothing useful to do but to sit back and collect the dividends of this new age of abundance. The dividends come in the form of Universal Basic Income. There will be no room for human labor, except for the few titans who are the founders of the new system of the world. The AIs will drive the cars (not need for cab drivers) which they also build (hence Tesla’s extremely expensive emphasis on automation) and do pretty much every other job. After all, can the great mass of deplorables surpass the glories of AI and Big Data and the Messianic emergence of The Singularity? The AI will take care of us, our job simply to submit to the inevitable. Seem kind of nuts to you? Me too. But serious people are having (what they think are) serious conversations about this stuff. They’ve already skipped over the hard (actually impossible) part where they make computers which reproduce and then exceed human minds, and gone on to planning for the post-human-economy social system. It's not just that theoretical and policy economic assumptions of the Google model are socialistic; socialist presuppositions went into the real-world construction of the Google business model. Free stuff is at the core of the Google model, because it was first at the core of the academic world out of which the Google founders emerged. Google doesn't charge its users. There is no price for using the search engine, or Gmail or the map app, or even the analytics tool. It’s all free. Or at least it is as free the actual reality principle TANSTAAFL allows, which means there really is a price. The price is the dearest price of all: our time and attention. Free means we give them little bits of our mind one moment at a time as we watch their ads. The Google/Facebook model is a step backwards in terms of economic efficiency, because it's a form of barter model. In barter, most proposed offers to trade turn out to be unsuitable, and therefore were wasted effort. Likewise most ads are a waste. What percentage of the ads that you see do you click on? What percent of the small subset of ads that you click on do you use to purchase a product? Purchases, actual value-creating matches, are a small fraction of a small fraction of ads. That's an engine that's mostly slippage, with only a small minority of expended energy translated into drive. The illusion of 'free' served a business purpose – appear to give something away for free and you can dominate the market. Google dominates the search market. Facebook dominates the social media market. YouTube (part of Google) dominates the music video market. But free is an illusion, which is the design flaw which both enabled the tower to rise so fast and guarantees its fall. Prices are information. Information tells us what people value. This is the message of one of Gilder's other books, Knowledge and Power. Markets align knowledge with power. Google has enormous amounts of power, and it has enormous academic and technical knowledge, but it lacks the most valuable knowledge of all - it doesn't know what its customers want enough to buy it. It's not enough to know that people want something, what matters more is that they are willing to buy it, and what matters the most is how much they are willing to pay for it. People offer a price because of what they know. If we don't know how much they're willing to pay, we benefit a great deal less from their knowledge. For a business it means that the market share of free is fragile, just waiting for something better to come along to shatter it. For Gilder (and for what it's worth, I agree with him), that better something is peer-to-peer payment and contract systems such as blockchain. Blockchain is the little stone (of silicon, no doubt) which when flung by its 'army of Davids' (tip of the hat to my friend Glenn Reynolds, aka Instapundit) up into the cloud it strikes the head of the current Silicon Valley Goliath, the Google model. I spent some time with George Gilder across a Skype line recently talking about his book. You can listen to the wide-ranging conversation here. There is a great deal more to say about this book, and I plan to say a little bit about that great deal more in future columns. In the meantime, get the book, read it, read about your future which is based not on ‘free’, but on freedom.